- and then to the premiere. So the theatre gradually opens to inquisitive a viewer the mystery of the birth of the play, a viewer becomes an eye witness and even, to some extent, a participant of the creative process. 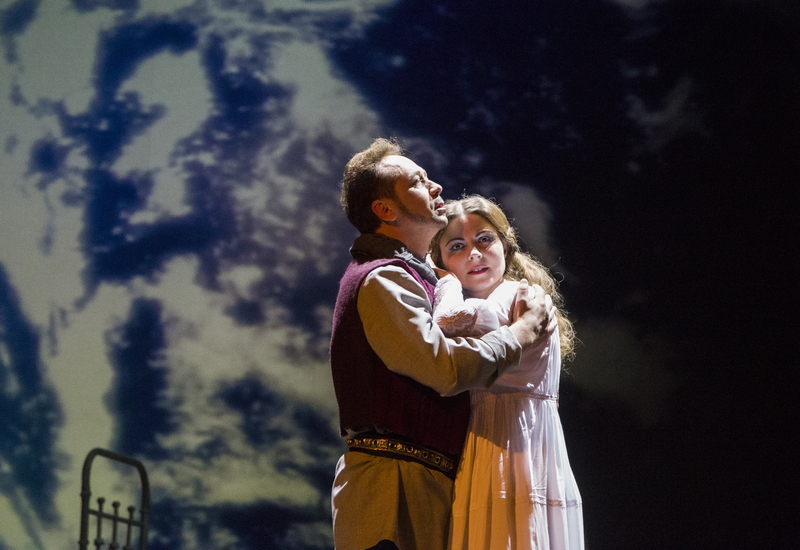 "Iolanta" is the last and one of the most life-affirming works of Tchaikovsky. It is based on the play of Danish playwright H. Hertz "King Rene's Daughter". This is the poetic story of a blind girl, which the Stage Director reveals how not only full of romance but also drama. Sudden love to a stranger knight ignites in her heart a passionate desire to see the world and gives birth to the courage to endure sufferings which could be the price for recovery of sight. But what will it bring to her?.. Arias and duets from this opera are widely known and warmly loved by the audience: Robert's Aria "Who can be compared with my Matilda", Iolanta's Arioso "Why is it that previously did not know", King Rene’s Aria, duet of Iolanta and Vaudemont, and more.